The Dr. Prem Reddy Family Foundation is dedicated to improving access to healthcare, supporting organizations with aligned missions, and by increasing educational opportunities in healthcare. 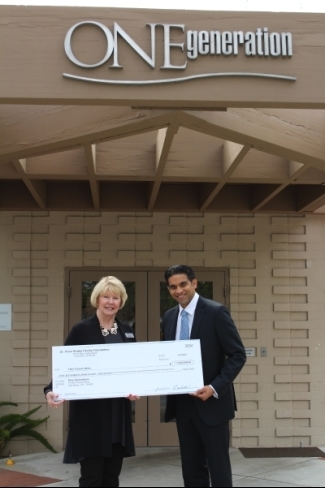 Dr. Reddy and his family founded the Dr. Prem Reddy Family Foundation, previously known as the Desert Valley Charitable Foundation, in 1986. It is a nonprofit foundation that has donated millions to various charities, including those that support health education, college scholarships, public healthcare education and free community clinics. In the United States, the Foundation assists patients unable to afford treatment by funding free clinics and organizations supporting preventative care. The Foundation also seeks to ensure that students of all backgrounds can pursue careers in medicine. On a global level, the Foundation supports Samaritan’s Purse by donating equipment used in clinics across poverty stricken regions around the world. The Foundation also funds clean water initiatives, childhood vaccinations programs, educational grants, new medical clinics and medical missions to treat blindness with free cataract removal surgeries and pediatric congenital heart defects. Medical equipment has been donated for use in clinics in areas of Africa, Indonesia and Central America. The Foundation supports programs such as Access to Healthcare in Nevada, a nonprofit medical program offering discounted medical services to Nevada's working poor uninsured, and provides funding for clinics, such as the Turner House Children's Clinic in Kansas City, making access to high quality pediatric health care services available for underserved and uninsured children. The Foundation also made a large donation to the YMCA in Kansas City, funding a cancer survivor program which allows participants to attend free of charge and receive much needed support during their recovery process. In 2014 Dr. Reddy made a commitment of $40 million to found the California University of Science and Medicine, a new non-profit MD school to be located in San Bernardino, CA. Through Prime Healthcare Services facilities and myriad foundation donations, Dr. Reddy and the Dr. Prem Reddy Family Foundation strive to meet the healthcare needs of the community. Driven by Dr. Reddy's life-long passion for healing and education, the Foundation acts as a steward of private funds to be used for public good and fulfill a commitment to give back to the community.